Professor Chris Anderson, Massey Vice-Chancellor Professor Jan Thomas, secretary of NTB Provincial Government Dr Rosiady Sayuti, University of Mataram Professor Manshur Ma'shum. 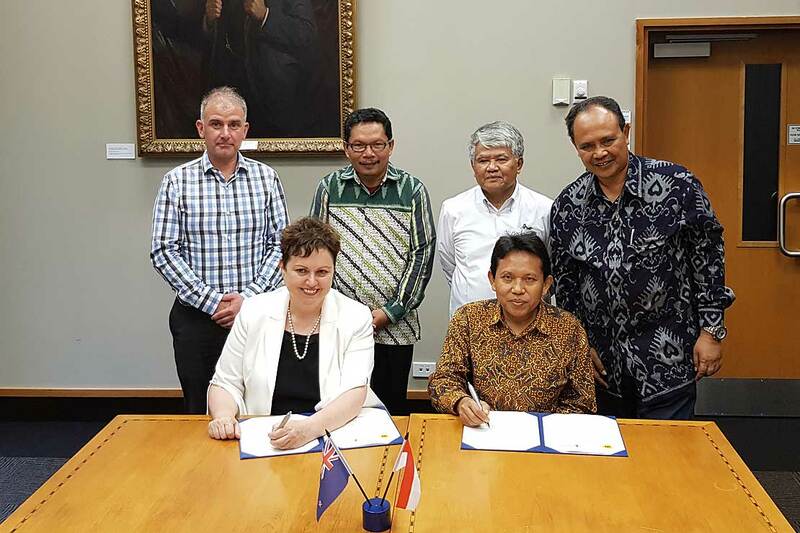 Massey University and Indonesia are building on their strong foundations in agriculture and horticulture, bringing government officials and educators to New Zealand to re-sign a memorandum of understanding. Last week a senior delegation of nine Indonesian representatives from the Indonesia West Nusa Tenggara (NTB) Provincial Government and the University of Mataram, visited Massey University. The re-signing of the agreement between the two universities sought to increase areas for potential collaboration and co-operation, such as teaching, research, and student and staff exchanges. The relationship has already produced successful projects, like the East Indonesia Innovative Farm Systems and Capability for Agribusiness Activity (IFSCA), which aimed to increase the capability of corn and cattle farmers in Dompu on the island of Sumbawa and with growers of fresh fruit and vegetables in North Lombok on the island of Lombok. 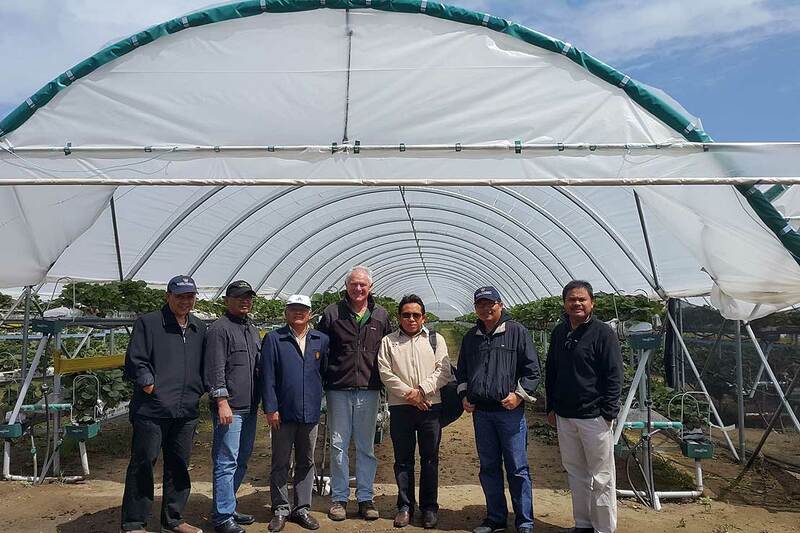 Members of the delegation thanked Massey for the value and impact of the development work, especially in light of the recent Lombok earthquake disaster in August 2018. The group also met with Palmerston North Mayor Grant Smith to discuss opportunities for further regional and educational collaborations, as well as a trip to Wellington to visit the Indonesian Embassy. University of Mataram Professor Taufik Fauzi, Dr Maskar, Professor Manshur Ma’shum, TenderTips director of special projects Geoff Lewis, Professor H. Lalu Husni, Dr Rosiady Sayuti, Dr Bambang Kusumo. The trip also included a visit to the TenderTips asparagus and strawberry pack house in Levin, where they had the chance to examine small-scale automated grading and packaging equipment. TenderTips director of special projects Geoff Lewis spoke about the priorities for fresh product supply to high value markets: quality, continuity of supply, and price. They also visited a farm belonging to Massey alumnus Richard Morrison to learn about New Zealand sheep and beef farming operations.